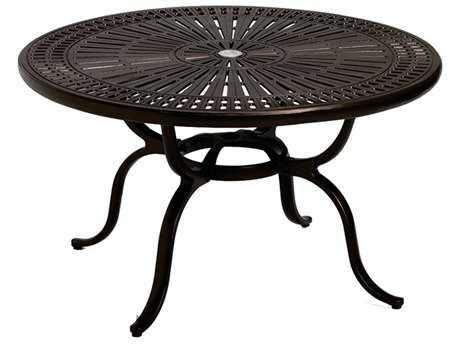 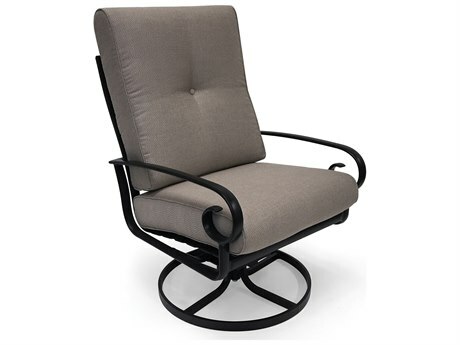 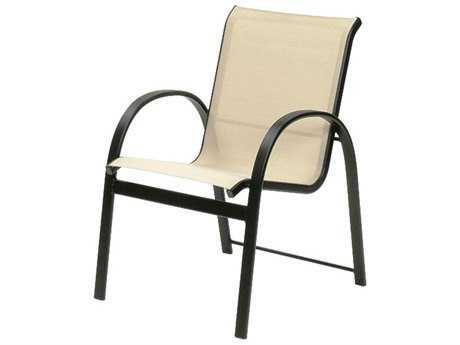 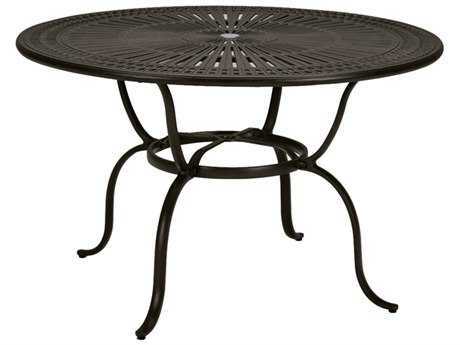 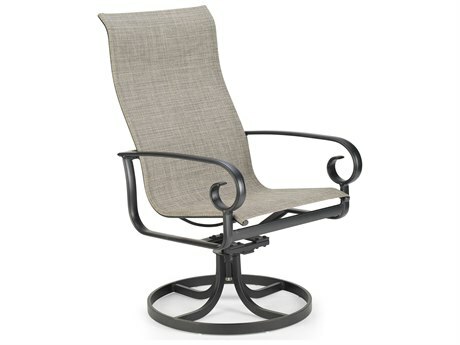 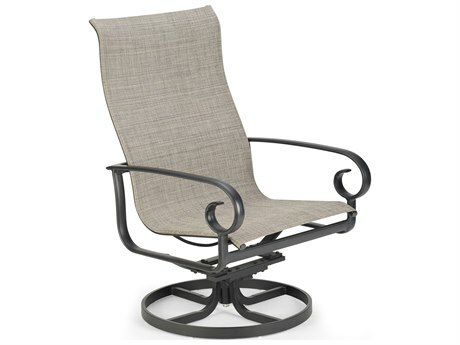 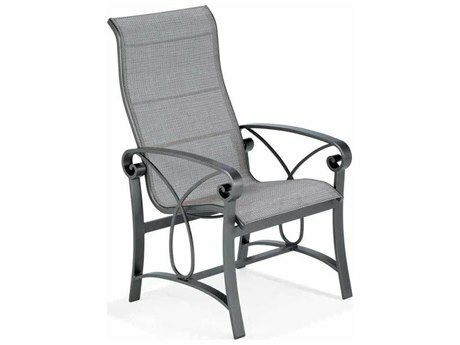 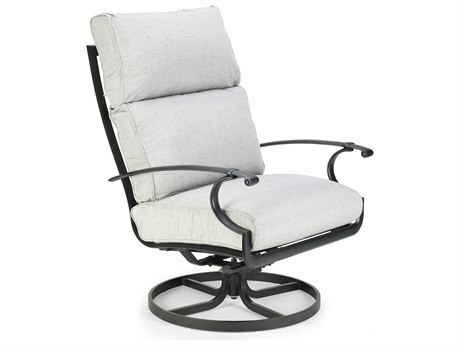 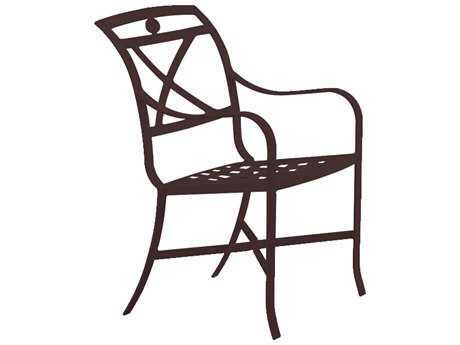 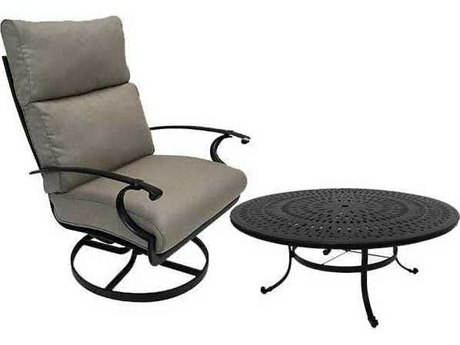 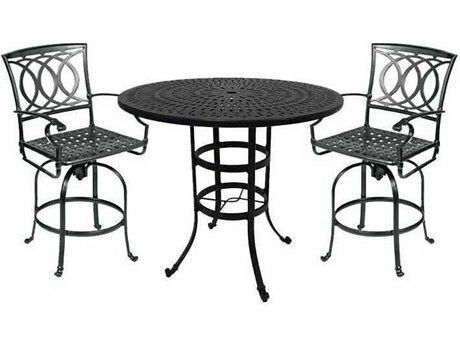 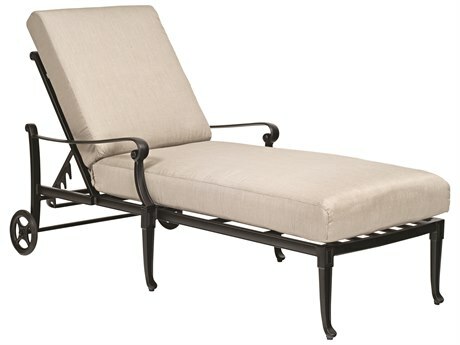 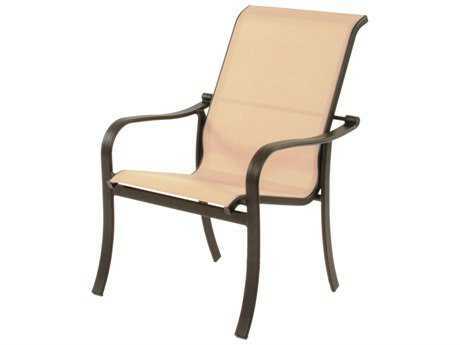 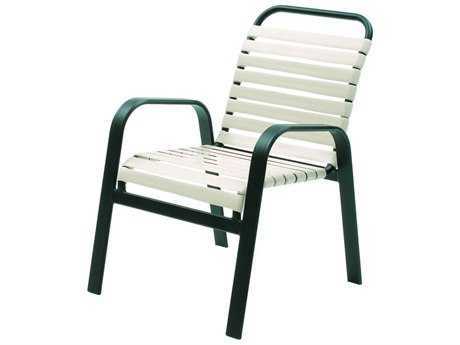 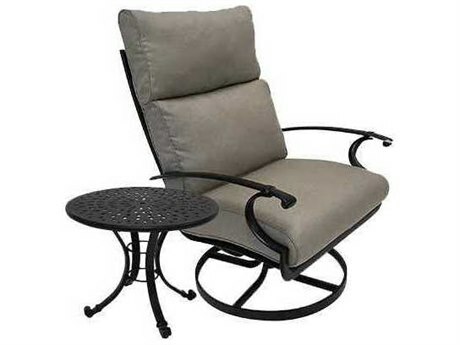 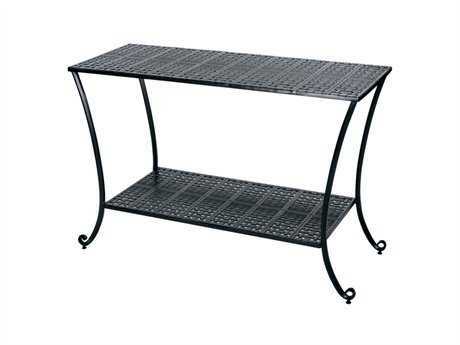 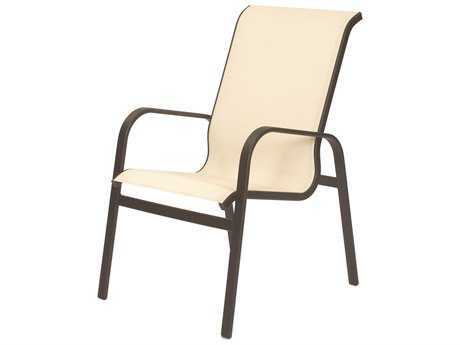 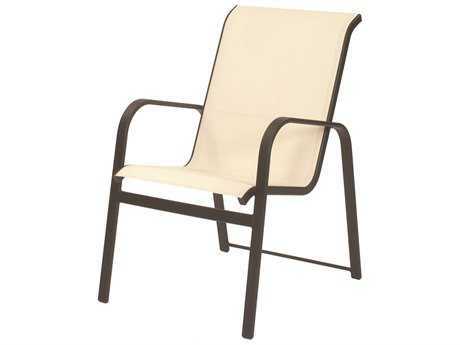 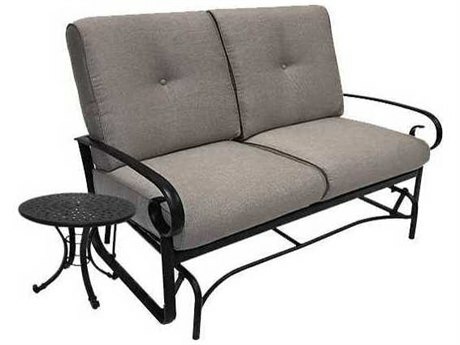 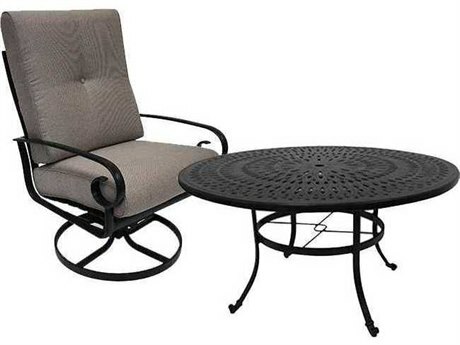 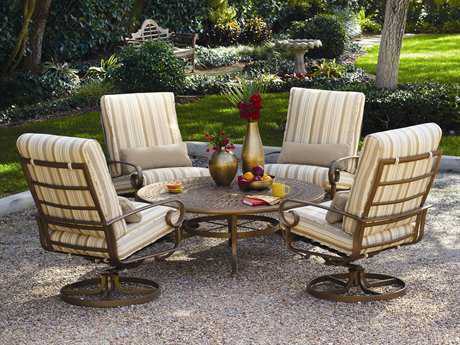 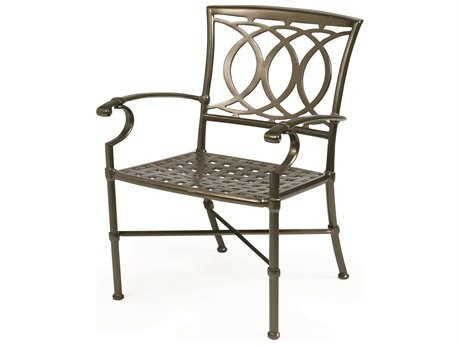 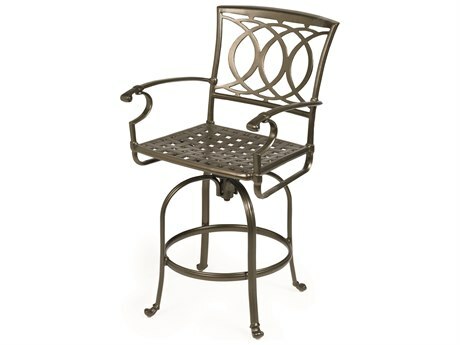 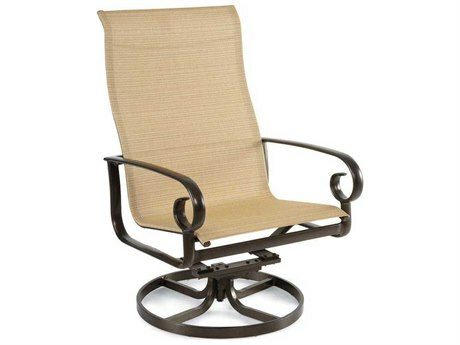 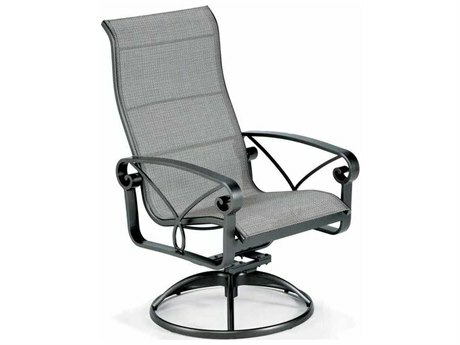 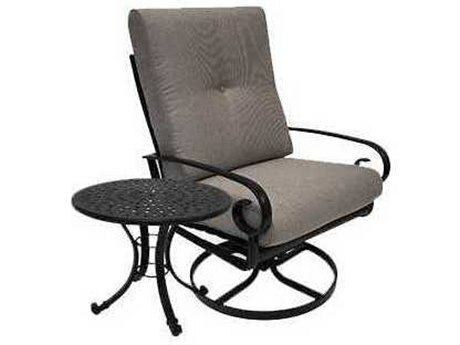 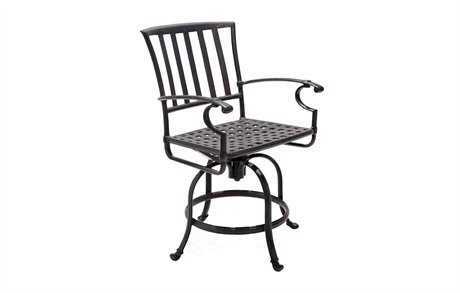 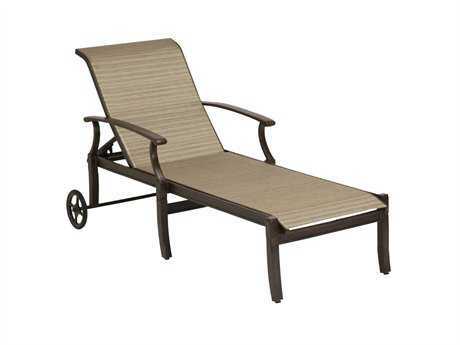 Cast aluminum patio furniture refers to outdoor furniture constructed from solid aluminum. 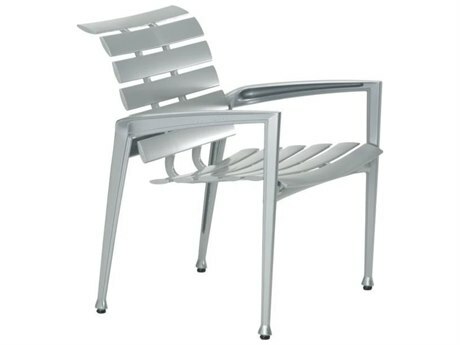 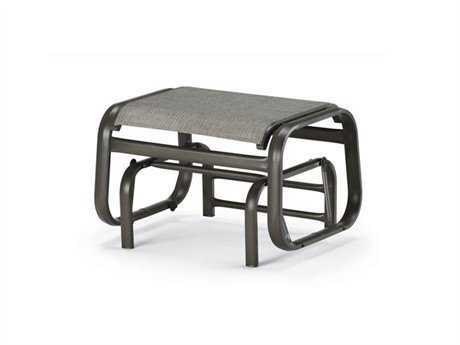 Its solid form differentiates cast aluminum from traditional aluminum furniture, which is hollow. 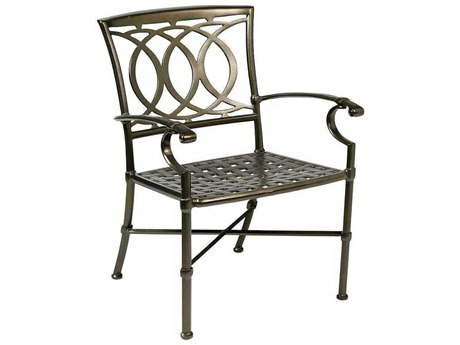 Creating cast aluminum outdoor furniture is labor intensive and requires a great deal of material, making it more expensive than its tubular aluminum counterpart. 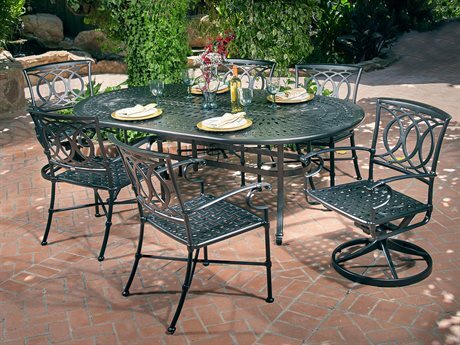 However, cast aluminum furniture is still generally well-priced and incredibly durable, making it a great value for any outdoor space. 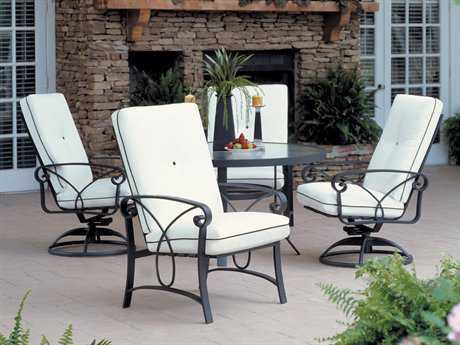 With its stately, classic styling and endless options for customization, cast aluminum patio furniture is sure to beautifully complement nearly every exterior aesthetic, making it a striking and price-efficient option for commercial and residential spaces alike. 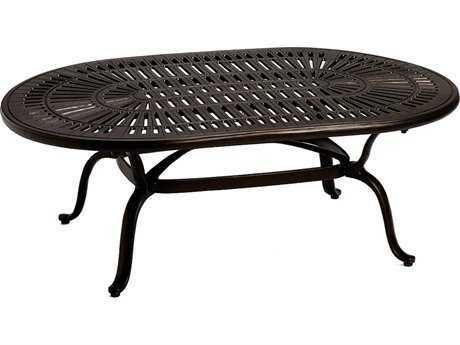 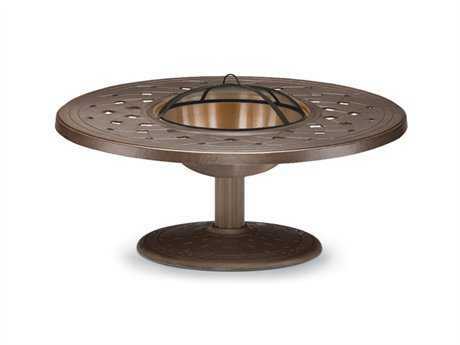 PatioLiving carries cast aluminum furniture styles in nearly every outdoor category, from cast aluminum dining sets and lounge sets to serving carts and fire pit tables. 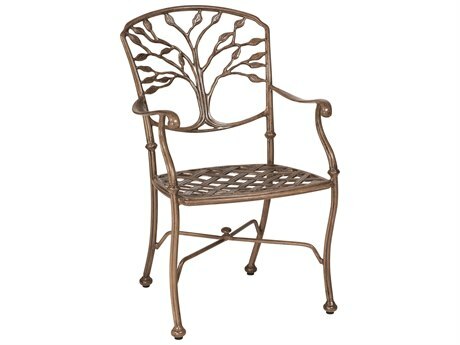 The versatility of the material means many pieces carry unique and intricate designs, curves, and detailing, with many pieces sharing the distinguishing elements of striking finishes, clean structural shapes, and stately grace. 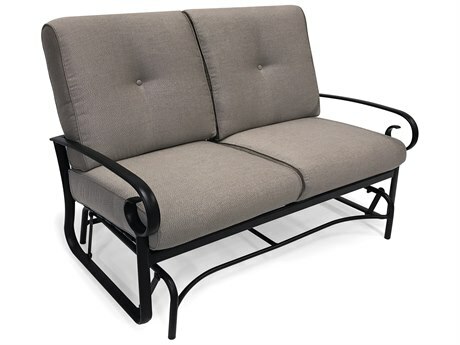 This furniture is beautiful enough to stand alone, but is also available in deep cushion seating or fabric sling options. 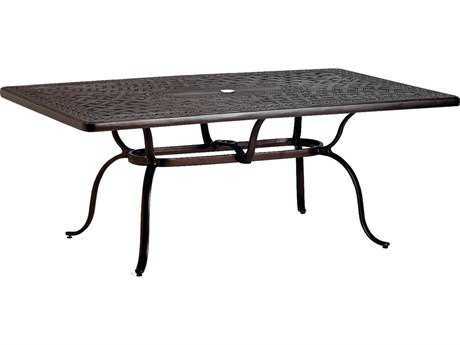 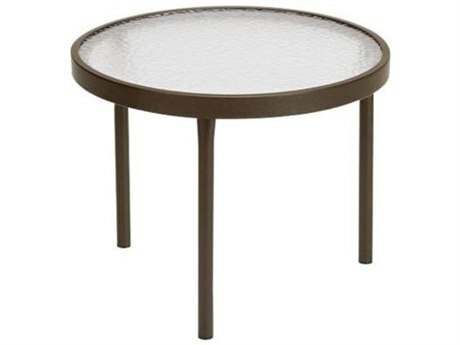 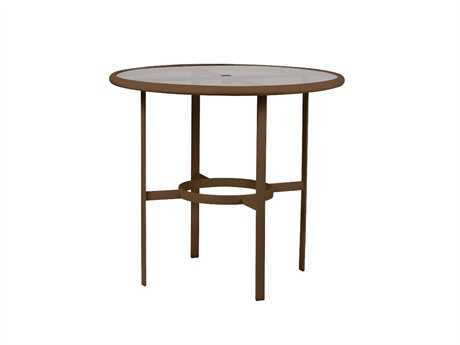 Other mixed material pieces offered with cast aluminum frames include glass and stone tabletop tables and strap chairs. 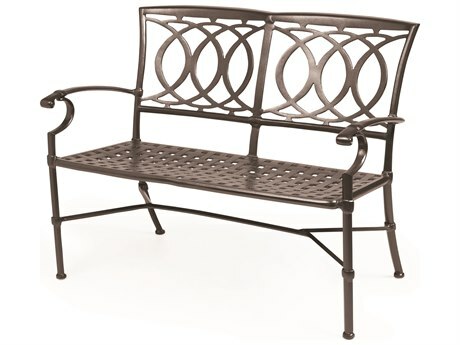 The detailed beauty and timeless elegance of cast aluminum patio furniture makes it well-suited for backyards, brick patios, enclosed porches, or any space where you want to create an atmosphere of casual refinement and gentle ease. 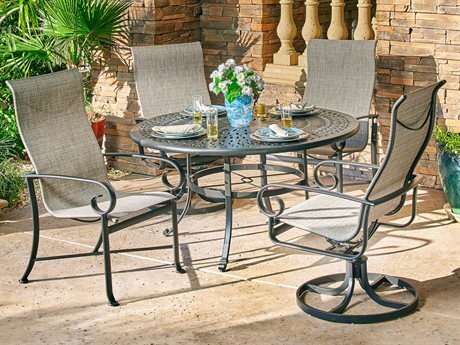 The look of cast aluminum is classic yet relevant, and versatile enough to be dressed up for a formal backyard dinner or dressed down for a casual afternoon enjoying the summer sun. 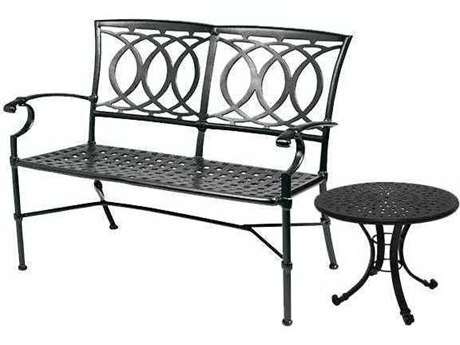 Cast aluminum furnishings are readily available in numerous finishes and patterns making them easy to coordinate with any existing backyard decor and aesthetic. 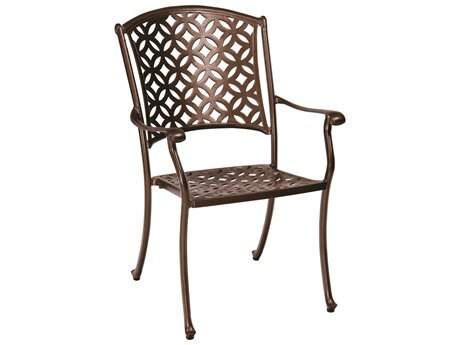 Our offered styles range from ornate to simple, making it easy to find pieces that appeal to your personal style preferences. 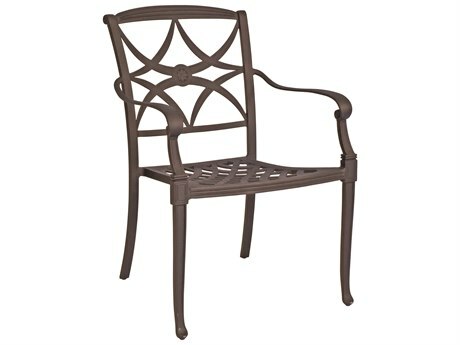 As a relatively light material, cast aluminum functions especially well in spaces where furniture is moved or rearranged often. 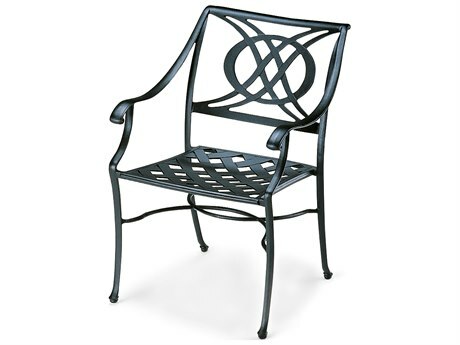 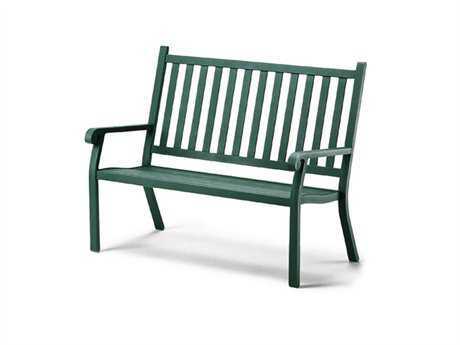 Its durability and low maintenance requirements make cast aluminum suitable for year-round outdoor use. 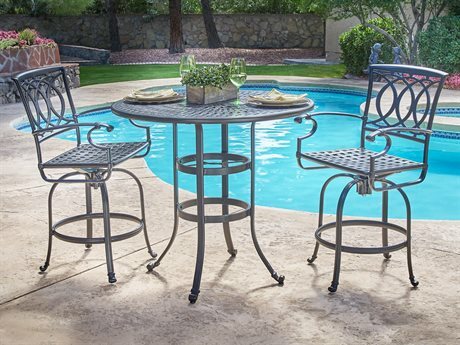 Cast aluminum furniture creates a distinct yet timeless aesthetic in any outdoor space that is available in numerous finishes, colors, and patterns, which makes it easy to get exactly the look you want. 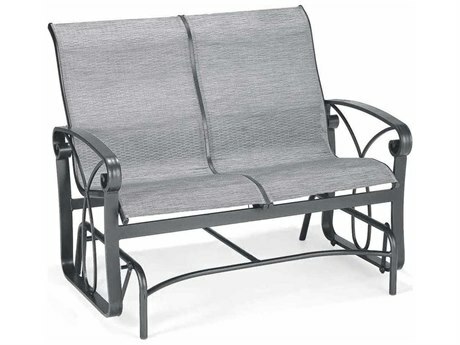 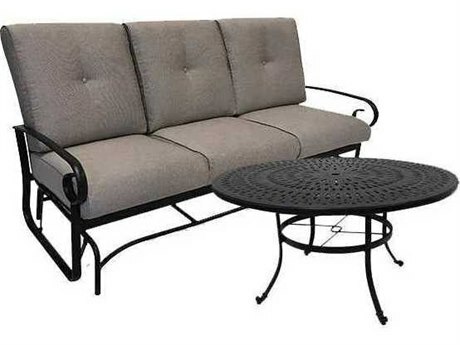 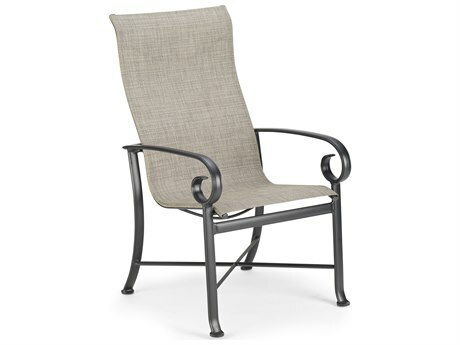 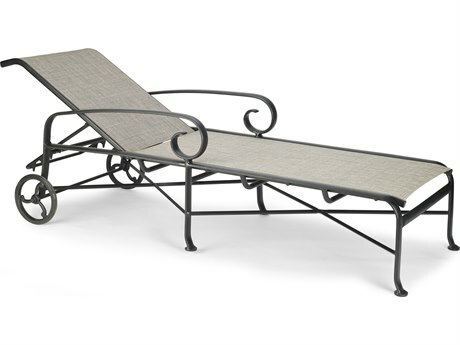 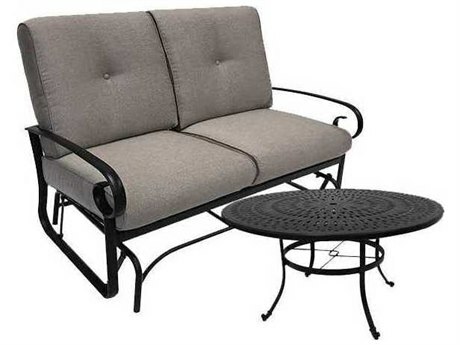 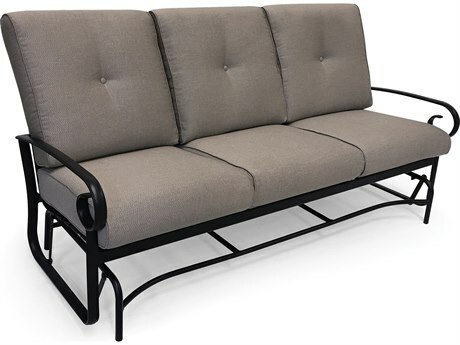 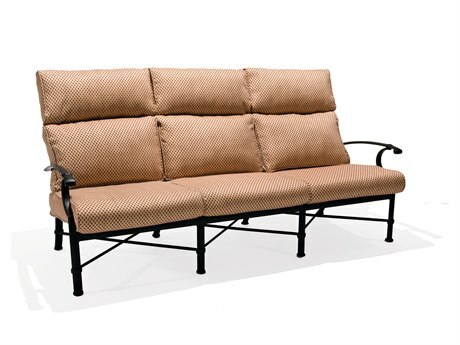 Cast aluminum patio furniture is also slightly heavier than regular aluminum furnishings, making it durable and more resilient in windy or otherwise shifting weather conditions. 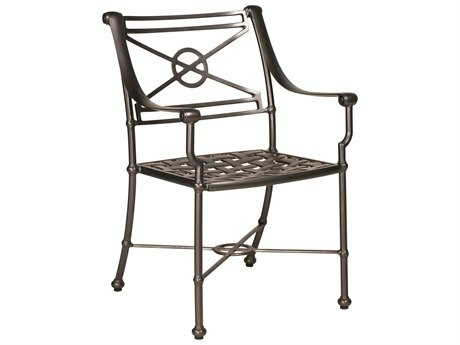 Its solid form also allows for a greater amount of detail in frame designs, making for beautiful and intricate furnishings that also retain the resistance to corrosion, rust, and changing temperatures of traditional hollow aluminum. 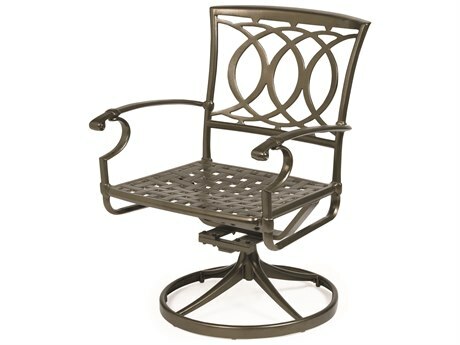 Cast aluminum furniture and accessories require intermittent cleaning with water and gentle soap, followed by a gently rinse and towel drying. 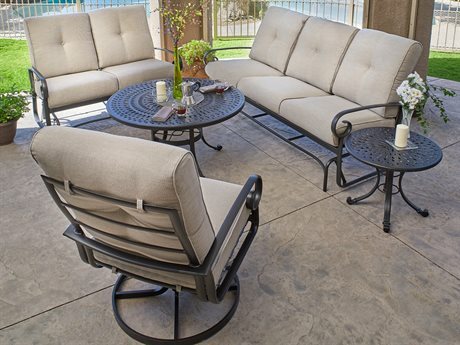 In caring for your cast aluminum patio furniture, avoid harsh materials, such as abrasive chemicals and bleach products, as these products can damage the finish. 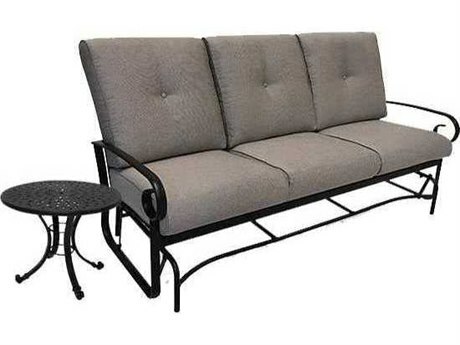 If scratches or imperfections appear, they can generally be touched up with matching color paint, meaning your furniture will look like new for years. 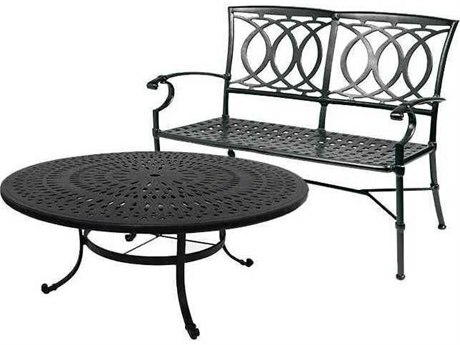 Ready to buy your very own cast aluminum set? 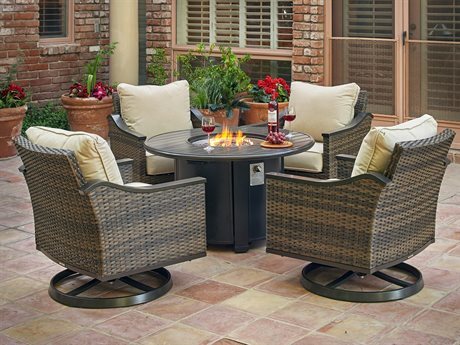 Make sure you review PatioLiving’s Outdoor Materials Buying Guide for more information about the materials used to construct our furniture.